Food was amazing, the best Indian I’ve ever had hands down. Service was brilliant and as we were the only people in the restaurant at the time we were sat right in front of a fan. The food was reasonably priced and have often payed much more for food that was not nearly as delicious. Would absolutely recommend to anyone looking for an Indian or even just a nice quiet, good quality meal with amazing service. Will definetly be visiting again before the end of my holiday. Great food. Being Indian myself I am very fussy. But this place didn't let me down. The curries were delicious made with real, fresh curry sauces. Not the jars that most curry houses use. The lamb tikka was tender and cooked to perfection. Highly recommended. Thinking of going there again in a days time. Super delicious food and a great service ???????????????? After reading reviews I expected some very good food. Service ok by one of the waiters. Portions extremely small compared to other Indian restaurants in the area and world wide. €5,95 for two small chicken wings. 3,95 for 1/2 portion rice and 3,95 for a raita basically made out of drink youghurt. (It was like water). We paid €3 extra for lamb (€12,95) although half of the “meat” was potatoes. No wonder the place was empty. Gone there ones you will never return because there are so many better ones out there. Great service, food incredible. 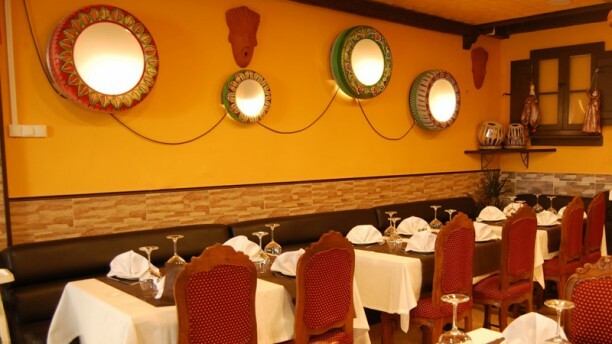 One of the best Indian Restaurant in Catalonia. Sattvic food.